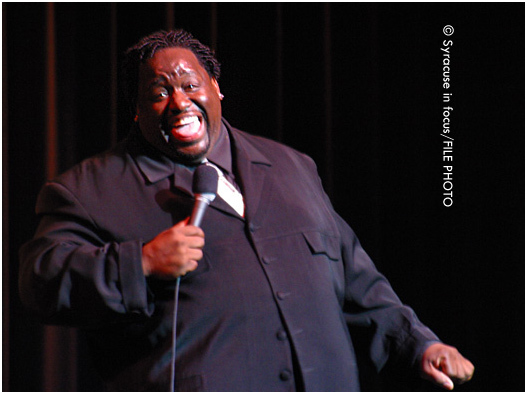 Comedian Bruce Bruce will return to Syracuse this weekend for a series of shows at the Funnybone. This photo is from a show he did at the Landmark theater about a decade ago produced by the Pride of Syracuse Newspaper. This entry was posted on Thursday, June 27th, 2013 at 7:50 am and is filed under Business, Media. You can follow any responses to this entry through the RSS 2.0 feed. You can leave a response, or trackback from your own site.